Besides that, I am making more progress on my sinking St. Mark’s Square painting. I looked through my bead stash and found a few more cubes to use for my Campanile. Some are dark brown, and some are bright red, and some aren’t even cubes at all! I stitched these around the orange cubes to make it look like a variety of different bricks. I really like how this looks now – so much that I think I will leave the rest of the felt showing! 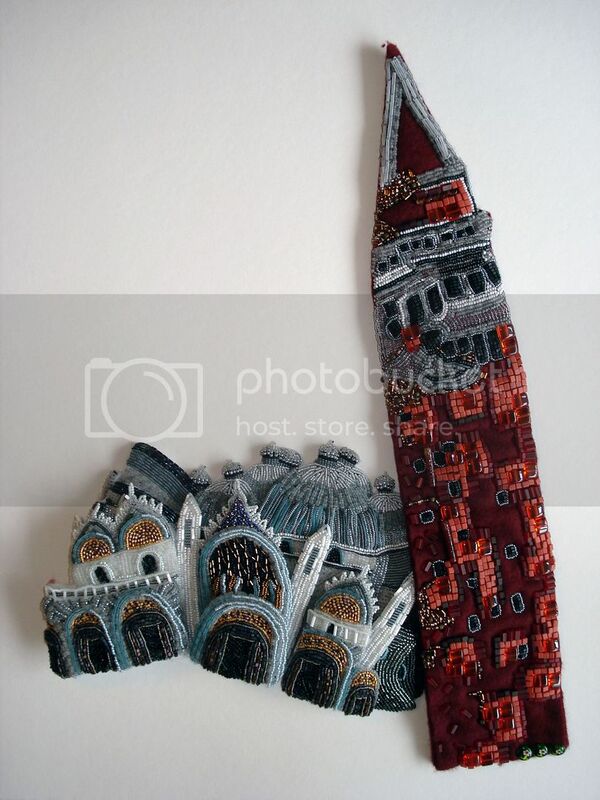 Then, my beaded landmark will really look like it is deteriorating! I want to do a little more beadwork at the top of the tower, but other than that, I am very close to moving on to the third phase of my bead-painting! How do you think it looks so far? Semi-beaded St. Mark’s Square (Venice, Italy). Bead embroidery on felt. 12.5″ x 18″ (32cm x 46cm). >AMAZING! I just started to make beaded jewelry – this is just over the top. >I think it is stunning! 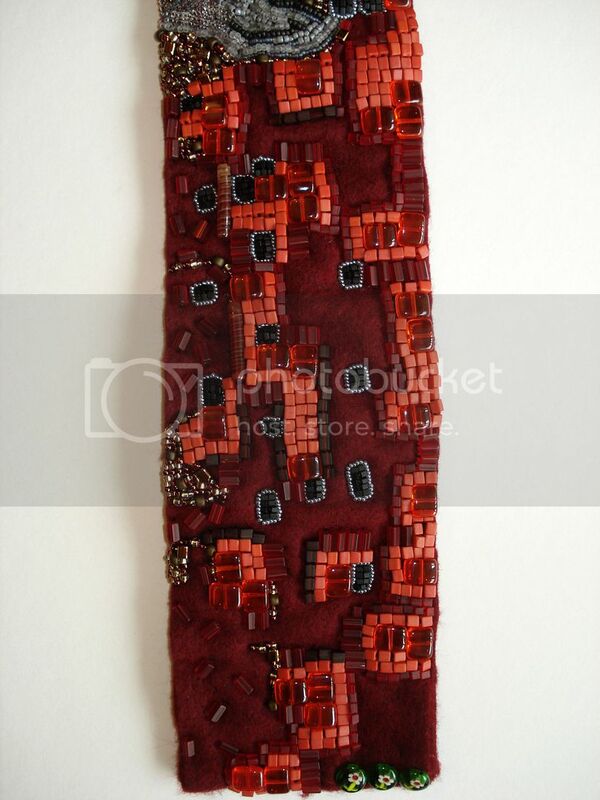 I love the different colored beads, definitely looks like multicolored bricks!